The Arrow T50™ professional heavy-duty tacker gun has an all steel construction with hardened steel working parts and jam resistant mechanism and a durable chrome finish. It has an easy squeeze double leverage operation and a visual staple refill window and over 50 years of tested durability. The choice of home owners and pros alike. 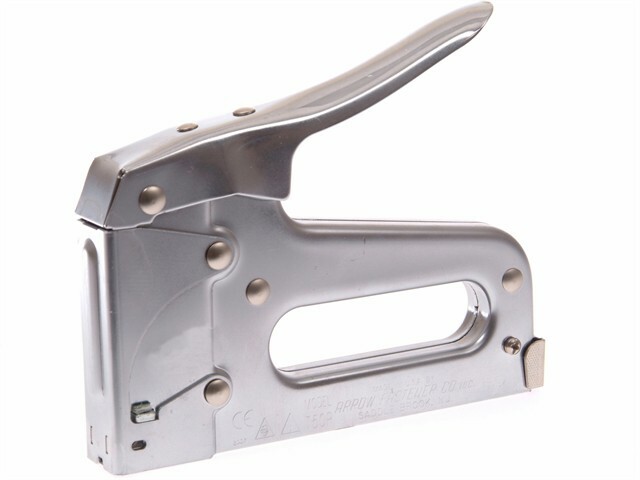 Uses Arrow T50™ staples: 6, 8, 10, 12, 13 and 14mm (ceiltile) staples. Ideal for use in: Insulation, Roofing, Screening, Upholstery & Light wiring.